If you’re all set to roll out a website for your start-up venture, it’s worth the effort to invest some thoughts in finalizing on a start-up landing page design, as your website’s landing page will be the trigger for all desirable user actions.Why worry, when you have professionally designed and feature rich landing page design templates to be used? 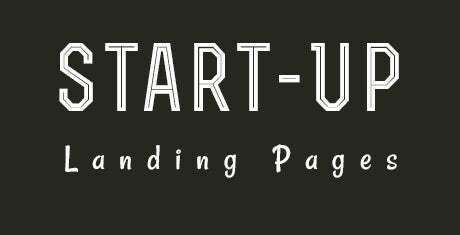 Let’s have a quick look at the differentiated aspects of start-up landing page templates. You can also see SEO Landing Page templates. Ratings and reviews blocks to help build some credibility about your products right from the landing page.Arrows and shining buttons to ensure that visitors know where they need to look and what they need to click.Video playbacks right from the landing pages, to add some life to the first interaction that your visitors have with your website.Gripping slideshows with configurable transitions, shift speeds and more options to lend some visual appeal to the landing page. You may also visit Coming Soon Landing Page templates. 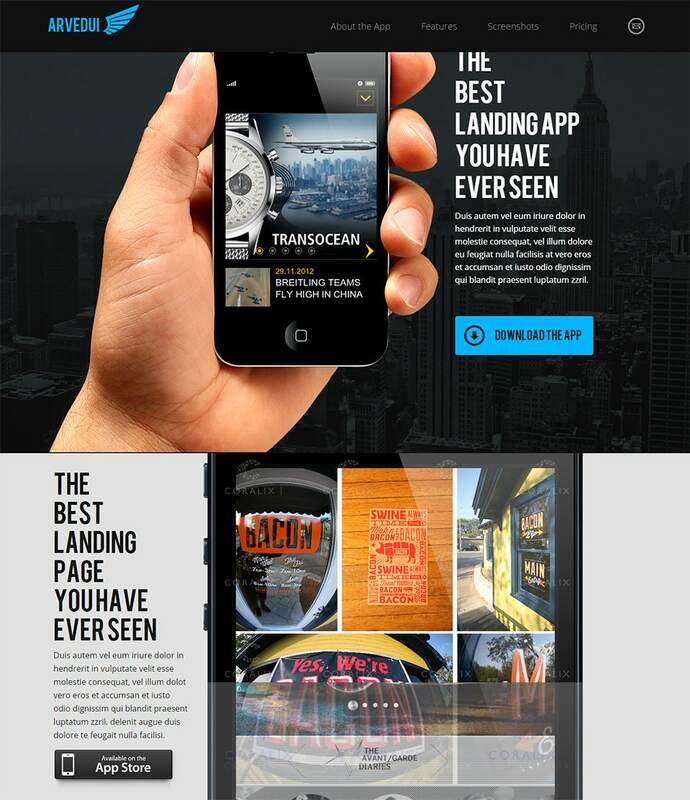 A perfect landing page for a startup company, use this to design your web page or an app for the iPhone. This has been designed using the latest Bootstrap version 3.0 for HTML5/CSS3. Endowed with a responsive design, customize this template by choosing from two different layouts, a couple of color variations and different font styles. Designed by experts, this landing page is responsive, making it an apt choice for all kinds of business needs. Created using PSD, this template has a minimalistic design that is sure to give your website a modern look. Easy to customize, the template comes with a variety of styling options that enables you to add a personal touch to your page. 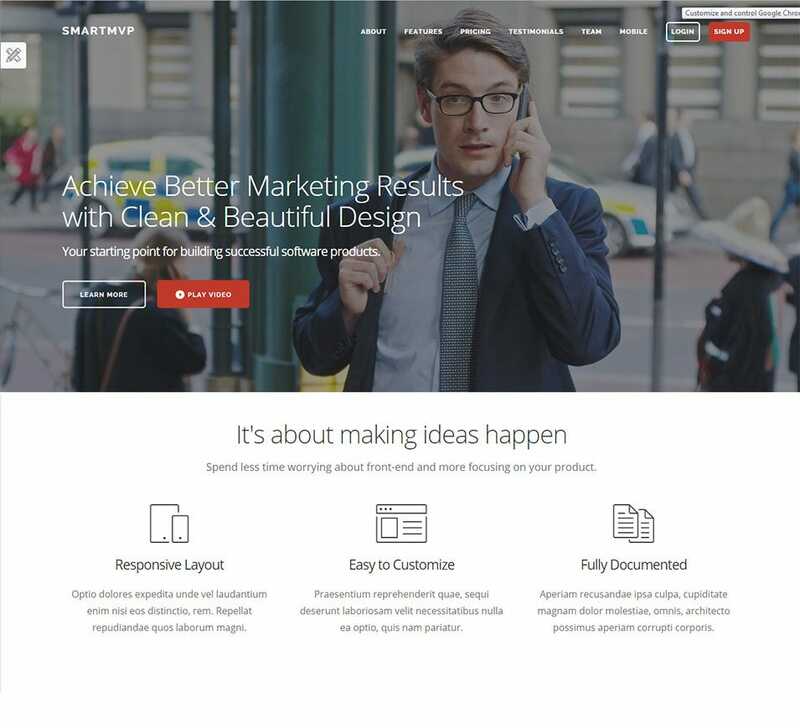 This template has been designed using Bootstrap 3.3 version and is also compatible with Bootstrap 3.3.1. It comes with 4 different background styles, a number of homepage designs and 6 different color schemes which makes for a fun customizing session. The responsive design ensures that this landing page adapts to all screen sizes. 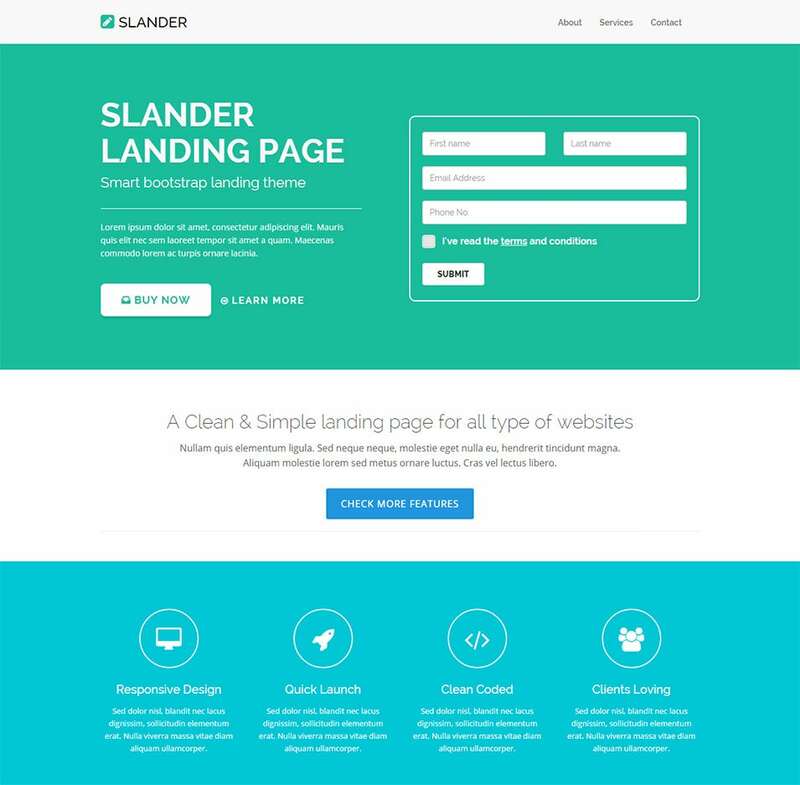 An extremely well documented landing page template with properly defined codes, you can save a lot of time by using this one. It has a very contemporary design which is also a responsive one, thus making it apt for web pages as well as apps. With 6 color schemes on offer, choose the one that suits your needs the best. This being an SEO centric template, driving traffic would be easy. 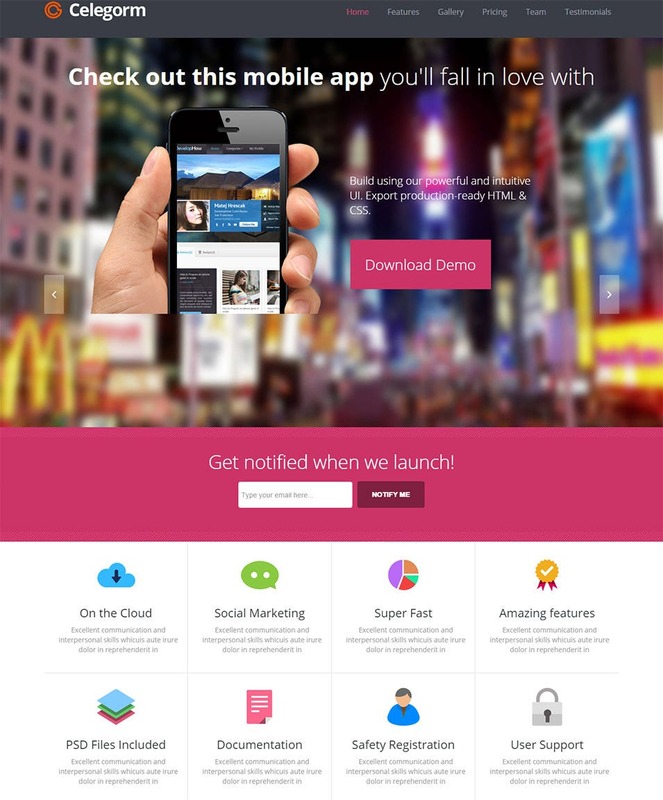 Designed exclusively for mobile apps, use this landing page template for the latest app designed by you. 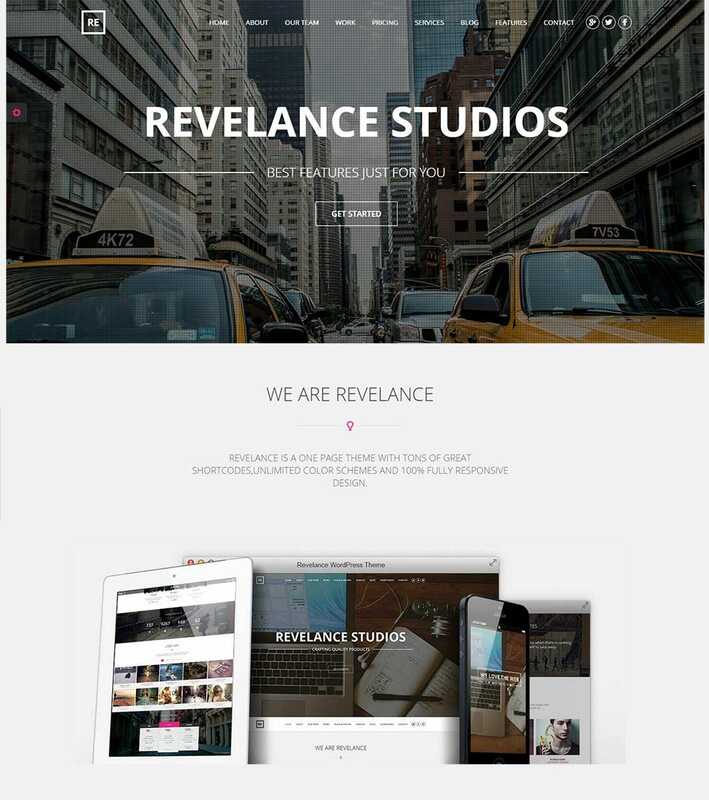 Based on Bootstrap, this template has a responsive design which makes it compatible to all devices. With 6 color choices, 8 background styles and layered PSD files, customization is convenient and fun. 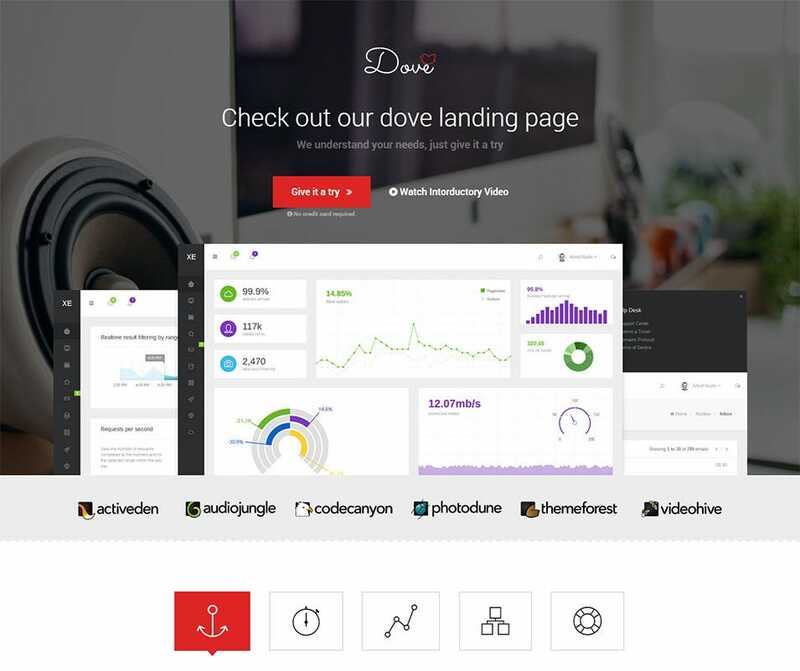 This landing page template is perfect for all types of websites and apps. It has a responsive design and an interactive one at that. It offers easy navigation, thanks to the responsive sliders. Created using HTML5/CSS3, this template offers a wide range of easy and quick customization features. 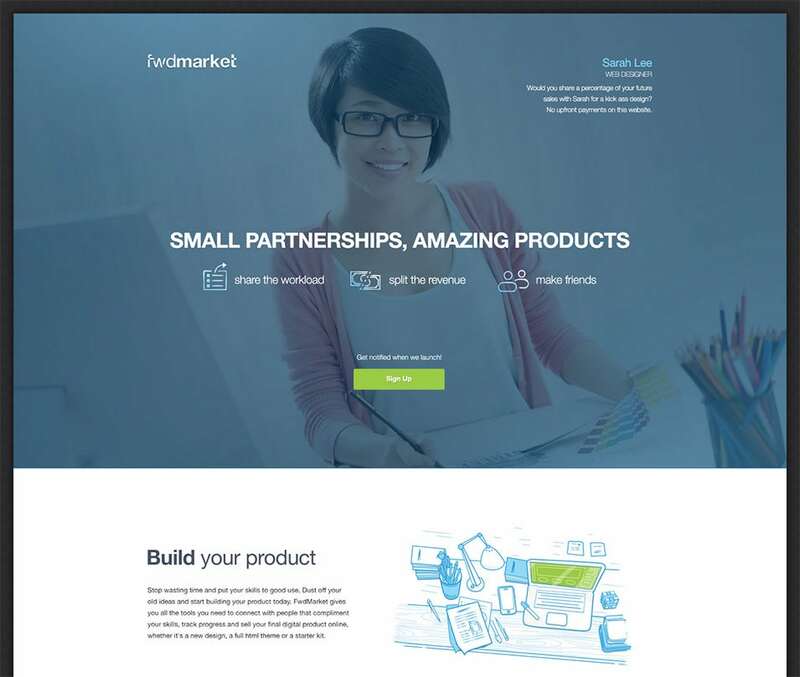 If you are looking for a quick design template for your landing page, then this would be perfect for you. With a drag and drop builder, customizing this as per your requirement and preference would be easy. It comprises of 3 mockups in PSD and parallax effects which will give your landing page a modern look. With video support, designing a contemporary style page is possible. Easy to use, this template is an ideal choice for service companies as well as startups. It has a very simple yet modern and functional design. With secure, Ajax based codes, customizing the template is quite easy. 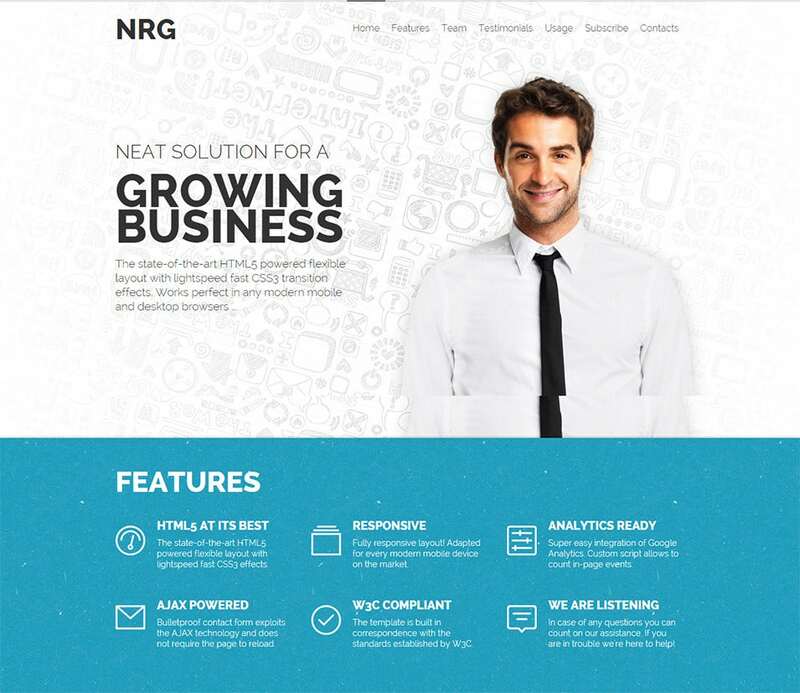 The responsive design ensures that the landing page created using this template can be viewed on any device. 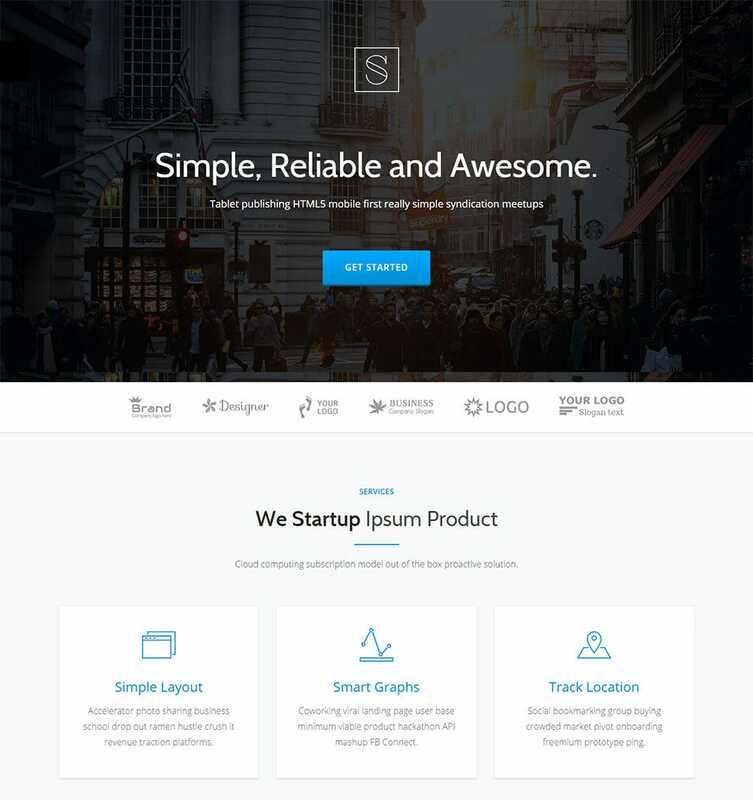 An ideal choice for startup websites, this landing page template has been designed on Bootstrap 3. The flat, one page design with smooth scrolling options, give this template a very modern look while also making it functional. With various color schemes and font styles to choose from, you can easily customize this template. Social media integration is possible thanks to the built in widgets. This template with 3 different types of pages and 3 variations of intro background styles, offers you a choice to design a rather modern looking landing page. The fully responsive design makes it an apt pick as it would adapt to all screen sizes easily. Customization becomes fun with 4 color schemes to choose from. Whether you are thinking of creating a one page or multi page landing page, this template is the right one for you. With a drag and drop page builder, designing the page as per your preference is quite easy. The 4 types of responsive sliders offer great navigation options. The wide range of color schemes and font styles open up a sea of choices for you to update the template to suit your tastes. 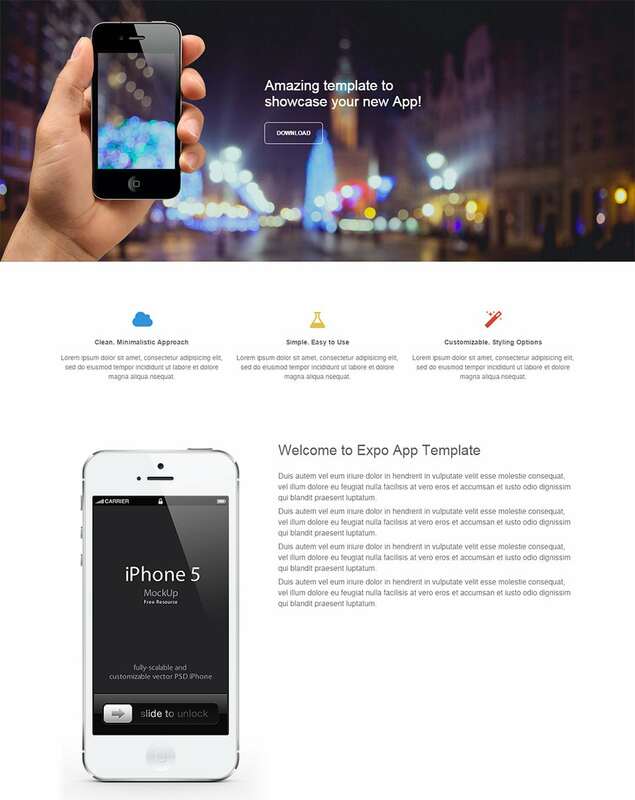 Designed on Bootstrap 3, this template is retina ready which makes for HD style display for the landing page. It supports images, videos as well as slideshows, thus enabling you to come up with a very interactive landing page. The responsive design and a wide range of customization features make it an ideal choice for your app. 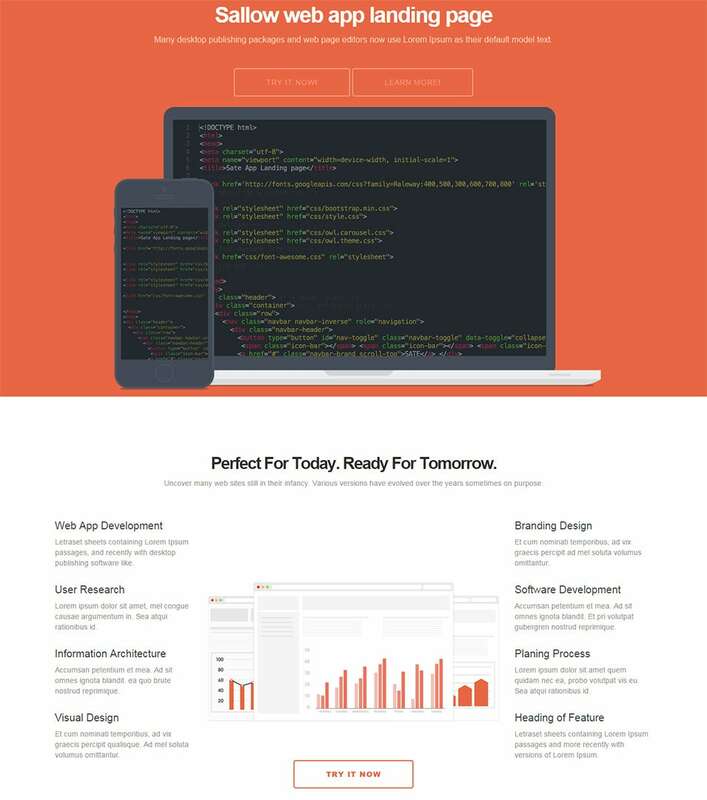 This HTML5/CSS3 landing page template has been designed on the framework of Bootstrap 3. The highly functional design comes with a responsive slider that makes for easy navigation. 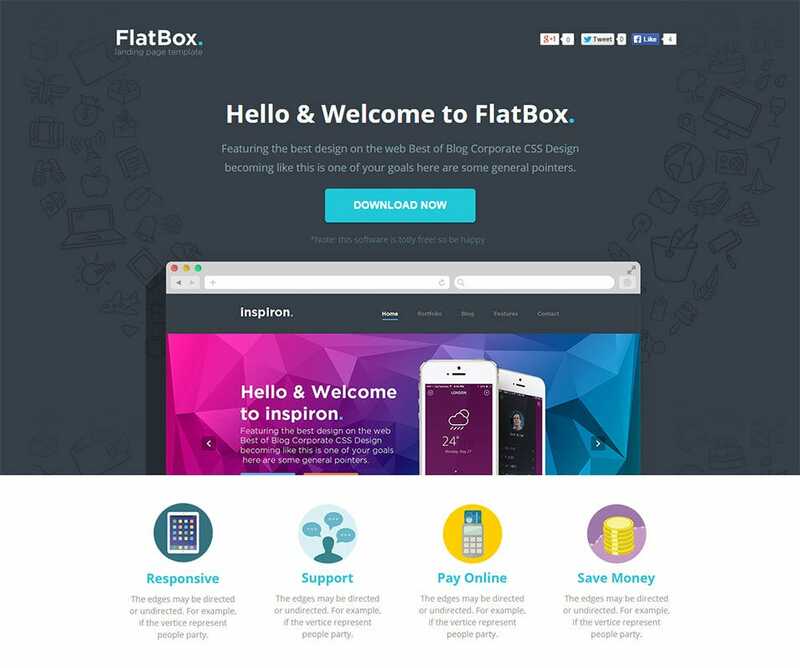 With built in forms in place, this template helps you in creating an interactive landing page. Its responsive design ensures that this can be viewed on all devices irrespective of their screen size. 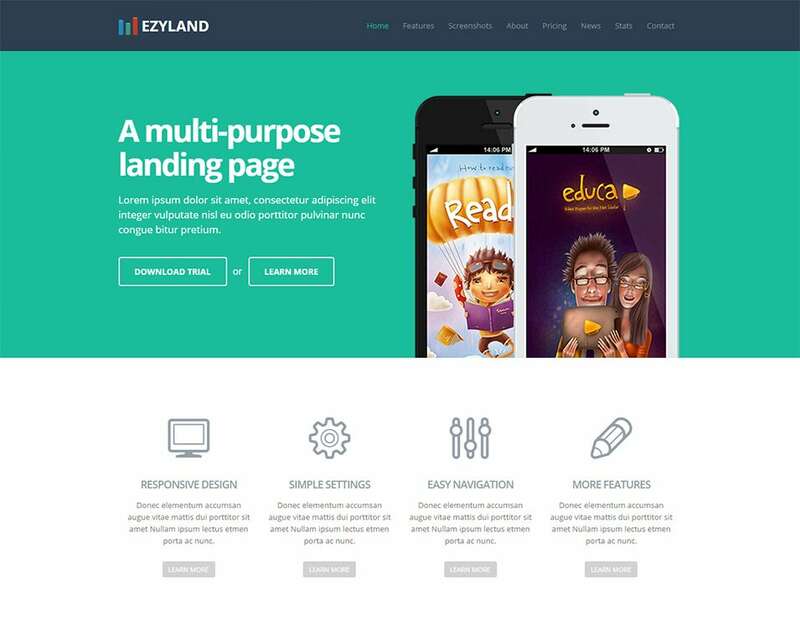 The flat and minimalistic design of this template enables you to come up with a contemporary looking landing page for your website or your app. The responsive design supports swipe features which add to its modern appeal. The template is W3C compatible and can be easily customized, thanks to the wide range of options that it offers. 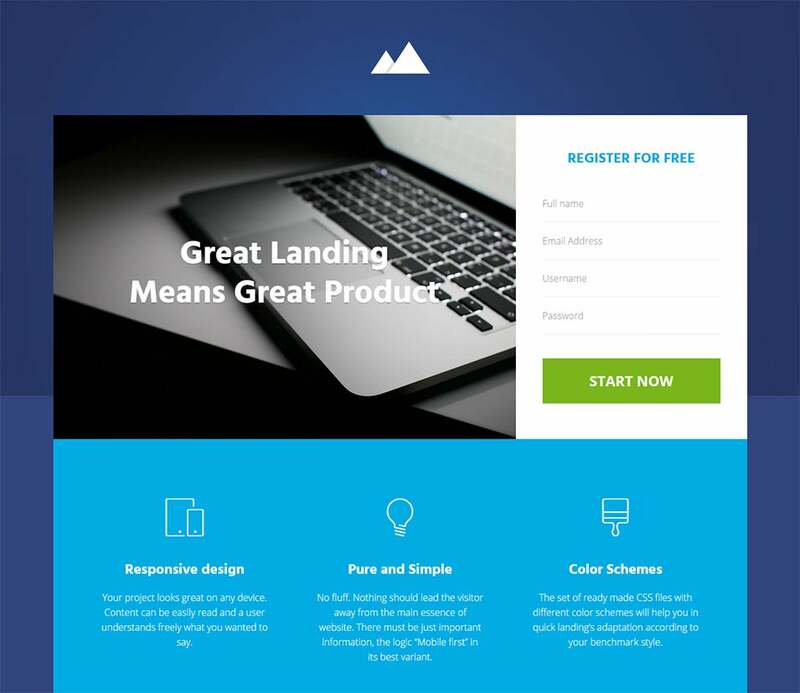 With 12 ready to use demo designs in place, this template can help you in creating a perfect landing page within no time. The responsive layout is compatible with all internet browsers which makes it the best choice for all. Designed on Bootstrap 3 with a Parallx background, the landing page created using this is sure to look modern. One-page designs that let you say everything right from your landing page, made all the more amazing with parallax effects in the backdrop.Creating price comparison tables and showcasing query forms becomes an effortless yet effective exercise with start-up landing page templates. Start-up landing page templates boast of responsive layouts, are validated for HTML5 and CSS3, present the marvels of OnScroll effect and contact forms, come equipped with Google Analytics readiness, and also work with MailChimp forms.With so many amazing features brought to you, creating a brilliant and smart landing page for your start-up website should not be a problem at all. Landing pages can make or break your opportunity of attracting the customers, which is why they need to be attractive and at the same time, user friendly. Thus, you need to pay a lot of attention when designing these. Using the landing page templates can help you come up with the best designs as these are created by experts and thus, look very professional.